**Disclosure: Thank you to Visit Milwaukee for hosting our visit to Discovery World Science and Technology Center. No compensation was received. All opinions are 100% our own. On vacation, keeping the kids engaged can prove to be a challenge. Cue the Discovery World Science and Technology Center in Milwaukee where kids benefit from a range of inspiring hands-on experiences. 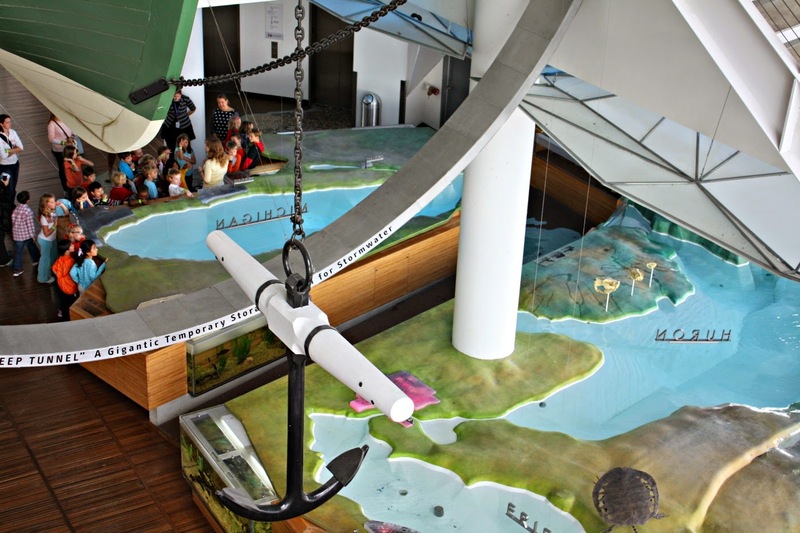 Particularly intriguing to our family was Discovery World's large wing specializing on aquatic life, understanding the Great Lakes, the water cycle and more about the vital resource. 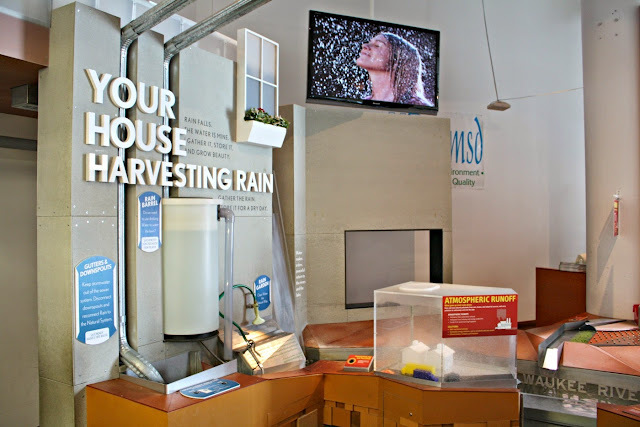 We have been to a number of aquariums before, but have never been to an attraction that so thoroughly explains the water cycle of the Great Lakes region! What kid wouldn't want to control a dinosaur? From the get-go, my daughter was in love with Discovery World. We first explored the innovation exhibits focusing on simple machines. 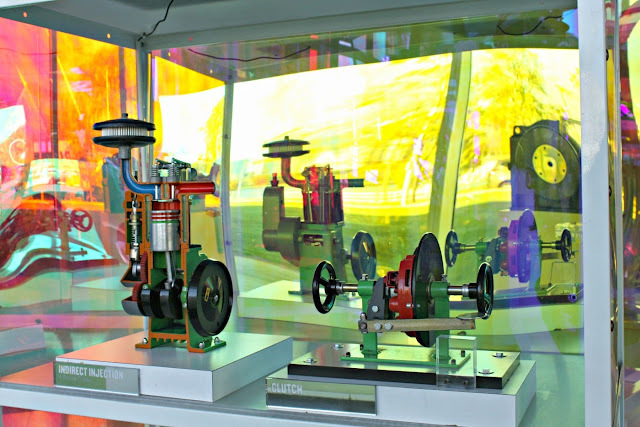 The collection of hands-on simple machines is pretty comprehensive. 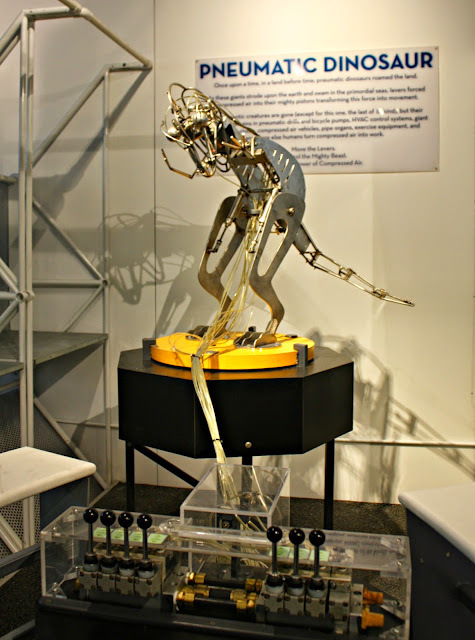 I love how the museum so adeptly shows the mechanics of simple machines and how they can be put together to create a larger machine. 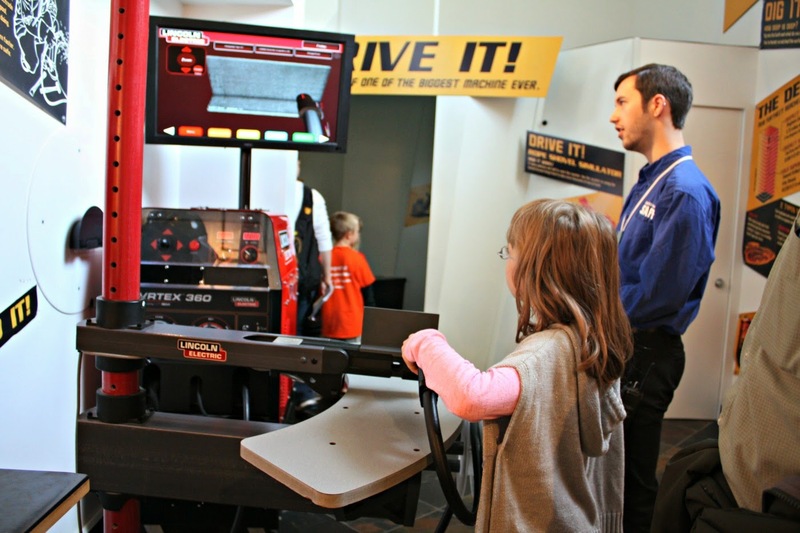 Families can try out a huge collection of simple machines. After working with levers, pulleys, wheels, screws and more----it was time to use simple machines to make a toy! The Dream Machine easily was a "fan" favorite among the wee scientists! 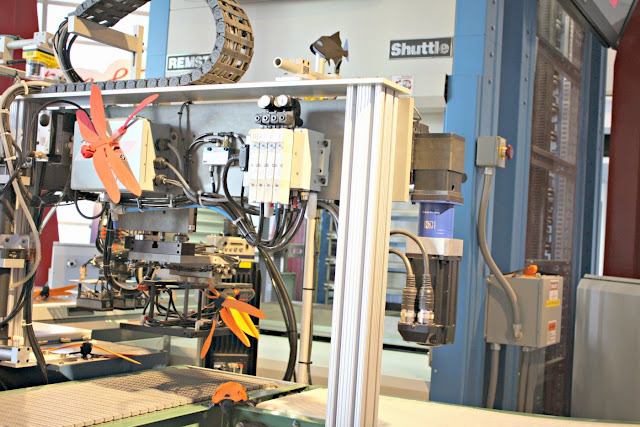 The children were able to choose a toy and watch the machine construct products. The working machine was pretty fun to watch! The only catch is that it is widely popular and you may have to wait a bit for your chosen design to come out. However, watching a design machine so up close was a treat! A close-up on how products are fabricated. Upstairs, we found more hands-on exploration of innovation. Much of the learning focus was on energy and resources. At one station, we tried our hands at welding. A really cool exhibit allowed us to feel the difference between window types demonstrating energy efficiency. 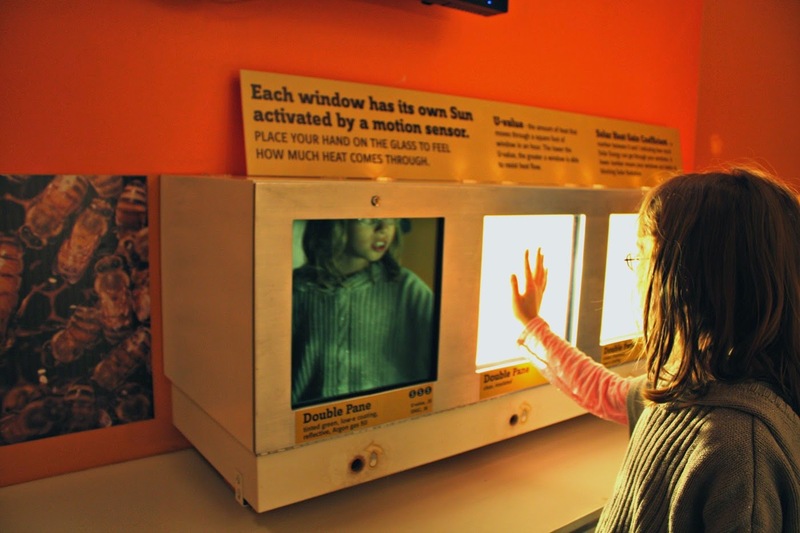 Tangible exhibits and explanations are so essential to fostering curiosity and ingenuity in children. 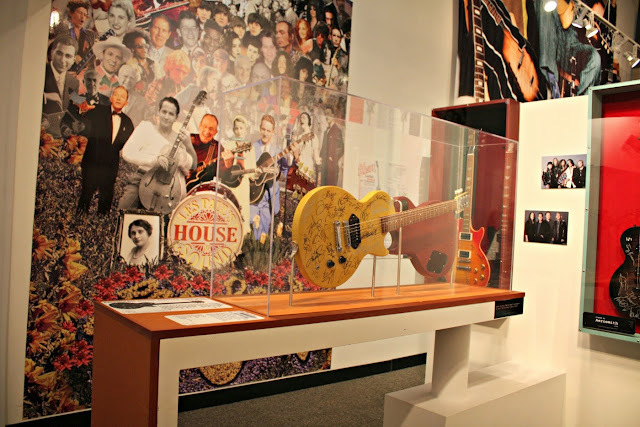 Les Paul's House of Sound exhibit brought the world of music alive in an amazing fashion. I mean, how often do you get to see the "guts" of a guitar? Les Paul was a renowned guitarist, guitar builder and recording artist. 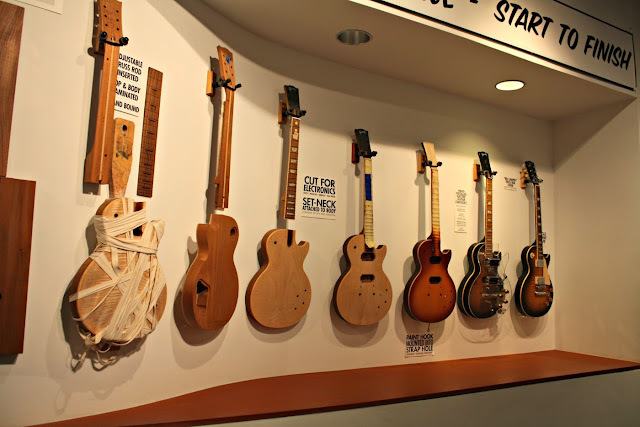 The exhibit really engages visitors in learning about sound and music innovation. 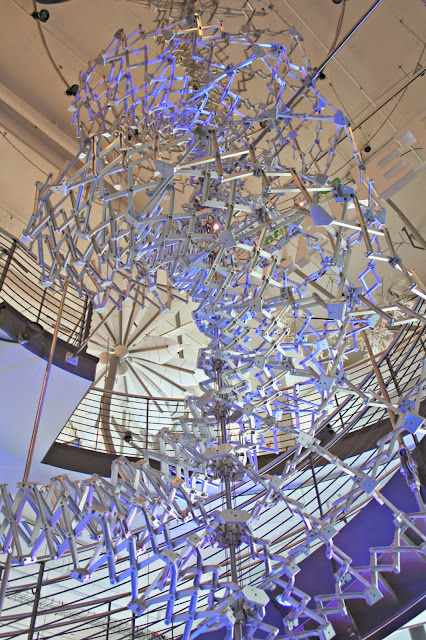 Through the exhibit, see how sound waves move, learn about radio circuitry and more! 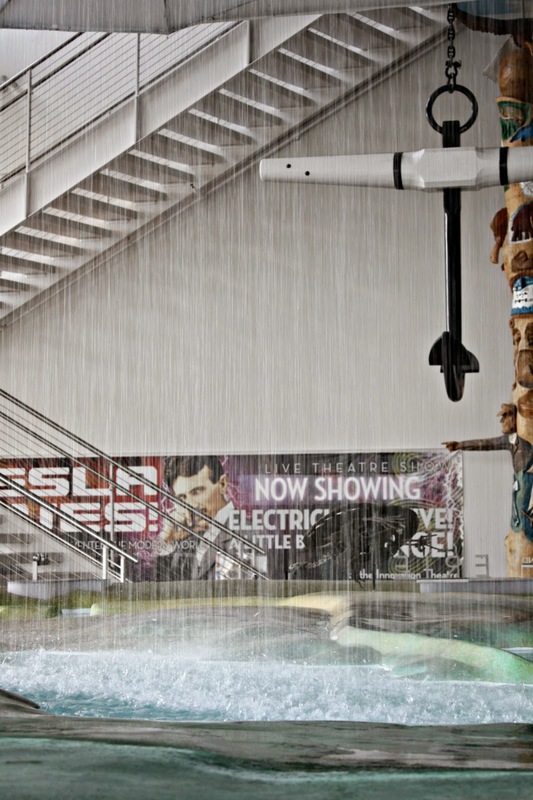 After visiting the Les Paul exhibit, we ventured to the water education portion of Discovery World. Immediately, we were blown away by the impressive water basin diorama of the Great Lakes. The detailed topography of the diorama illustrates the water flow of the region in a way that everyone can easily understand. The Great Lake exhibit is so detailed that it even rains! A truly cool experience! The aquarium was far more expansive than I was expecting and housed both regional aquatic species as well as tropical. 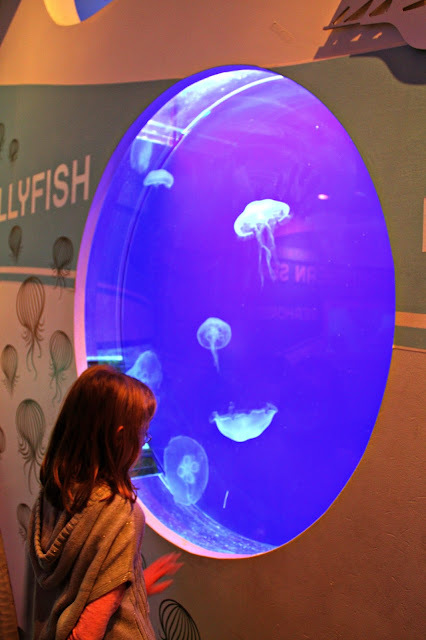 How often do you get to see jellyfish or pet stingrays in the Midwest? A nice experience and the kids we saw were thrilled! 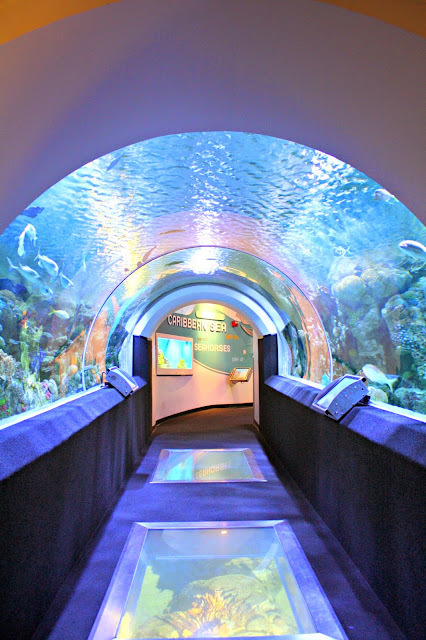 Take a walk under water! Other exhibits demonstrated the properties of water, how water flows through the community, the foundations of conservation and a consciousness of how our treatment of the environment affects others. Visitors definitely leave with an appreciation of this vital resource and tools for conserving it. Of course, the kiddos need to time to explore with gross motor skills. 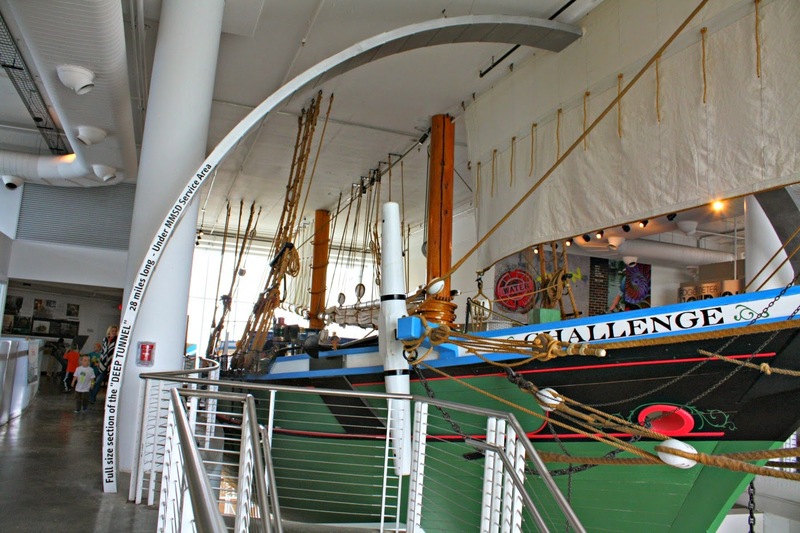 Discovery World houses a replica of the Great Lakes Schooner The Challenge providing a place where kids can check out the ship's deck and even climb down into the hold. The ship is actually suspended above the other exhibits adding to the wonder. We were engaged during our entire visit to Discovery World. With a great range of exhibits, each of us found something that really invited our investigation. Overall, the music exhibit and the water exhibits impressed us the most. But, the entire museum had us reaching out our hands to examine different objects and explore new ideas. A magnificent experience and great family day! If you decide to visit, budget at least half of a day in order to fully experience the museum. The museum is located at 500 North Harbor Drive in Milwaukee. There is quite a bit of construction in the area, so be patient trying to get over to the museum and try to plan your route before heading out. The museum is closed on Mondays, open 9AM-4PM Tuesday-Friday and 10AM-5PM Saturday and Sunday. Be sure to verify with calendar in case of special closures or expanded hours. The museum does have a light snack shop, vending machines and a learning store. Admission costs $18 per adult, $14 per child, under 3 free, $14 for seniors and $12 for college students and military personnel with ids. The museum is near the Milwaukee Art Museum so you can make a day of it! The views of Lake Michigan are stunning, so take those in as well! We need to go! This is awesome! I know! It really is! The water table of the Great Lakes really blew me away. Well done and the rain is a spectacular touch! Love this blog! Let us know the next time you're in town so we can make your visit extra special. Thanks! We will! We love you guys--such an amazing museum!